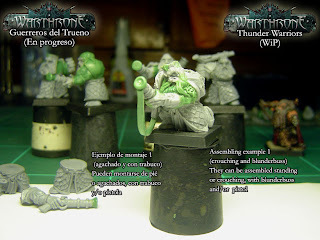 Avatars of War have posted a WIP photo of the dwarf thunder warriors. As ever, the sculpts look top-notch, lovely detail on the armour scales. Note that the figure is kneeling, very nice touch and makes it easier to assemble regiments of shooters if some of the front rank are kneeling. 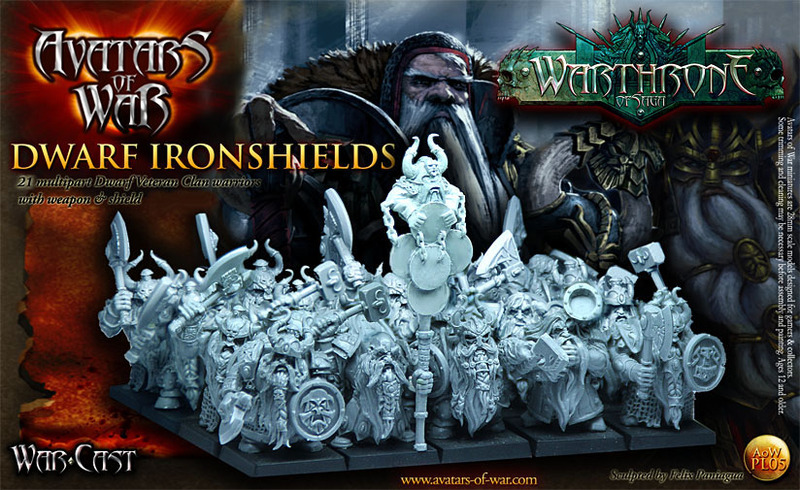 According to the accompanying note, the components will be compatible with other Warcast kits, so if you really wanted to you could have kneeling warriors! Maybe a wounded warrior stumbling to the ground, that would make a nice addition to a regiment. There are also some early WIP shots of a sorceror and mounted lord of pestilence, if you are interested you can find these on the forum. 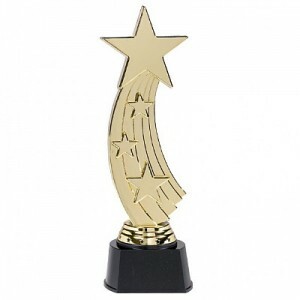 In this final part of my look back at the year, I am going to be rambling on about the minis and games that I have spent many an hour gazing at longingly on my laptop screen. If I had unlimited cash and time, I would be writing reviews of the actual products. But such is life, I don't have unlimited amounts of either, so think of this as my letter to Santa. Dystopian Legions by Spartan Games has sucked away a lot of my web browsing time over the past few months. 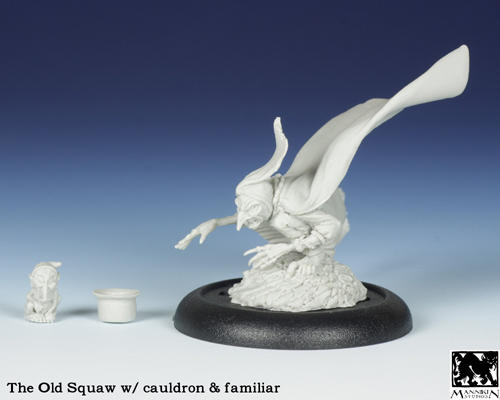 The sculpts look top notch, the free quickstart ruleset seems decent, but it's the whole concept that really grabs me. It's a 32mm game set in a Victorian era, with a steampunk/historical feel to it. This picture from their website illustrates why it has me drooling over my keyboard so much. There's a Britannian trooper with the famous red jacket and stylised pith helmet of the Zulu Wars era, hefting a flame thrower. There's a couple of Prussian infantry with the characteristic pickelhaube helmet of World War 1, one is armed with a tesla rifle complete with electrified bayonet, the officer has a mechanical arm. The American trooper wears a cap reminiscent of the Civil war period, while holding a machine gun. And striding out in front is some kind of power armoured robot! And that's just a small selection from the four initial factions' infantry. Add in steam powered bikes, jump packs, armoured vehicles and dozens of other units, it really does look like a superb range of minis. It's the blend of historical detail and steampunk imagery that has gripped me. I have always liked historical gaming, but truth be told the minis have never been too exciting. With a few notable exceptions, many historical figures were sculpted a couple of decades ago, times and technology have moved on, so they look (ahem) dated. 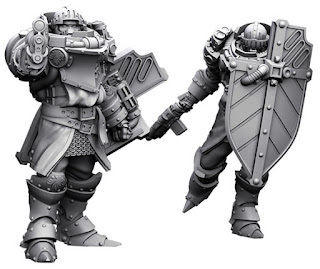 These Dystopian Legions figures tick so many boxes for me, they are lovely sculpts. Another attraction is that the game is skirmish level, so there are lower numbers of high quality figures to paint. I can't believe I have resisted this game for so long, I think I keep telling myself that I will wait and see what the next release is before I plunge in. If you feel inspired to investigate further, head on over to the Spartan games website, there's a special offer on starter sets for the holiday season. It will be no surprise to regular readers to see Avatars of War here in the review of the best of 2012. I have a number of their metal figures leading my dwarf, chaos and orc and goblin armies, there's even a regiment of their first plastic set, the dwarf berserkers in my collection. If I had continued to play fantasy games at the same rate as previous years, then I am sure I would have bought some of the new warcast sets - the chaos corrupters and the harpies being my particular favourites. It's only a switch from playing Warhammer to Saga that has meant me not buying from this fine range. The recent release of dwarfs has had me considering if I should start a dwarf army from scratch! I won't of course, I have put too much time and effort into my GW collection of dwarfs, but they are starting to look a bit tired and, well, redundant, next to the new kids on the block. I am only human and will surely be unable to resist for too much longer. Finally, I have recently discovered a little gem that perhaps deserves more attention. 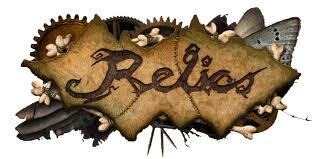 Relics by Tor Gaming is a fantasy skirmish game with a slightly lighter touch than all the grim dark stuff around. If the idea of ragdoll puppets fighting evil dwarfs encased in mechanical armoured suits is appealing, then you should investigate further. The sculpts have a certain whimsical appeal that you will either love or hate. 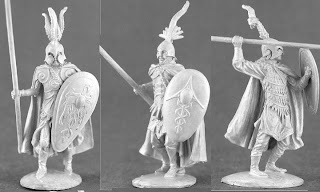 There is a decent range of minis covering four factions, while the free to download rules appear to be reasonably straight forward but with some very nice ideas. I looked at them as an ideal way to introduce beginners to wargaming, but with something of interest for even a crusty old gamer like myself. That's just about it for my highlights of the year, from a gaming perspective at any rate. If you read this Santa, remember me on your travels. 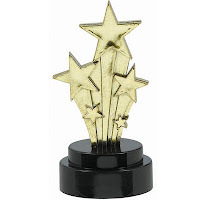 In the last post I looked at some of the less well known companies (and a blog) that had caught my eye in the past year. 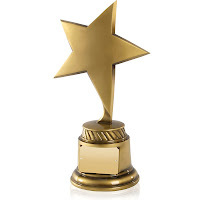 In this post I am looking at two more kickstarter projects that have really taken off, raising considerable sums of money, the first almost reaching the million dollar mark, while the second became the most successful campaign of the year. Each project caught my eye for a different reason and had me reaching for my poor, battered wallet. Studio McVey is a small company with a massive pedigree. 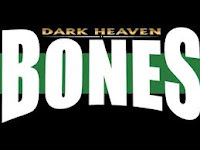 Most older gamers will recognise the name of Mike McVey, for all the painting work he completed at Games Workshop in the 1990's. For the past two or three years, Studio McVey have been producing high quality resin boutique miniatures, so are familiar to painters but perhaps not to gamers. That all changed in May when the kickstarter for Sedition Wars was launched. 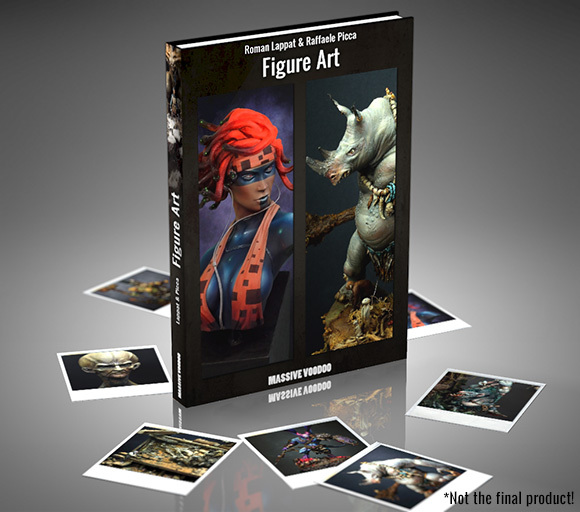 High quality plastic figures, great artwork and top production values in a boxed miniatures game. I was one of the many thousands who pledged to the project. The biggest attraction to me was the sheer quality of the sculpts included. As the kickstarter progressed and these were increased in quantity, it just got better and better. The other components seem to be high quality too, but the game is a mere add-on in my eyes.The minis will be useful in a whole range of other games. It's the hard-sci-fi look that I like and I have already started to look around at rulesets that might be fitting for the minis. There was a slight disappointment recently when shipping was delayed from China, but it's admirable that the McVeys have sorted out the problems and the box should be here early in the new year. Something to chase away the post holiday blues. The biggest success (in purely monetary terms) was the Reaper Bones project. I sat on the fence for a good while on this one, but as the number of minis grew and grew, I eventually caved in. 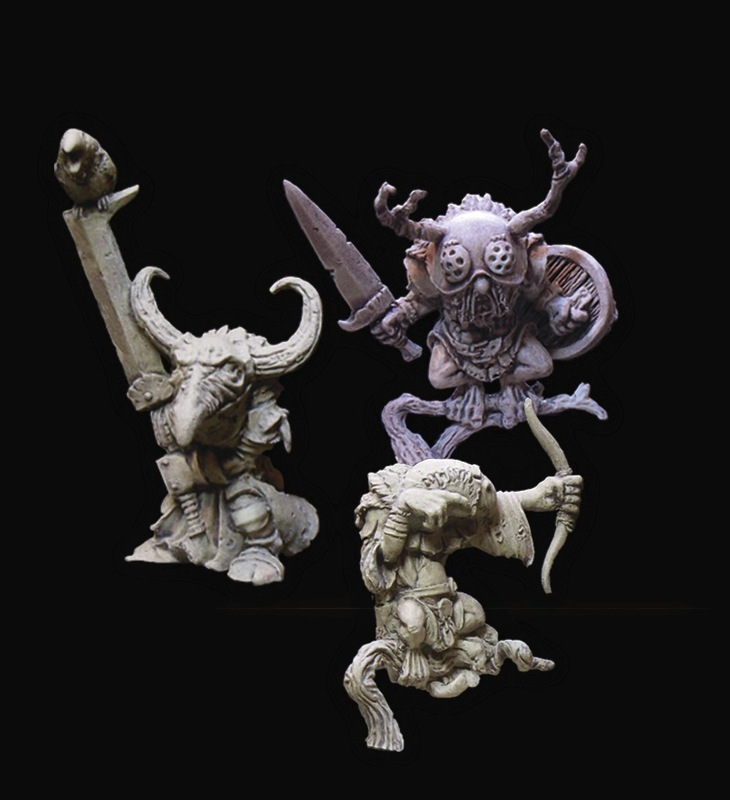 While the sculpts are not up to the standard of some other ranges, in my eyes at any rate, there is something to be said for the sheer range and size of the goodies involved. Given my new-found desire to explore more gaming systems of differing genres, I figured having a couple of hundred extra figures to choose from would not do me any harm. Some of the minis will almost certainly be used in my fantasy armies, while others may well be useable in the Sedition Wars setting. There are also dozens of classic dungeon adventuring style minis, I just need to find a ruleset I can use. For any that lie redundant after all these options are explored, there's always ebay - well, I will probably need more funds for the kickstarters of 2013! That's it for the wallet-draining section of the review of the year. 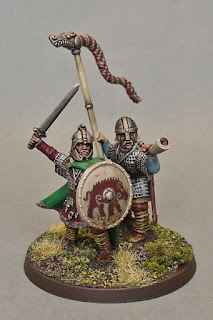 In the next post I will be looking at the oh-so-tempting minis that I have not bought, but which have teased and tempted me throughout the year. As we approach the holiday season and the end of the year, it's traditional to look back at the past twelve months. There's enough bad news around at the moment, so let's keep it upbeat and concentrate on just the good stuff. Here's a rundown on the hobby releases that caught my eye, the stars of 2012. Some of them I have bought/committed to buy, others are on my to do list. If you had to summarise the past year in one phrase, you could do worse than go for something like "the year of the kickstarter". 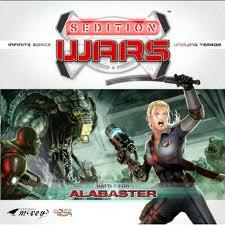 I think the first I heard of the concept was back in May when Sedition Wars was launched. Since then, it seems a new crowd-funding project is launched just about every week. There have been some very high profile projects launched through this financing method, but I wanted to start with some of the lesser know projects. Imbrian Arts is a company I discovered back in 2011, when I stumbled on some sculpts based on Arthur Rackham artwork. 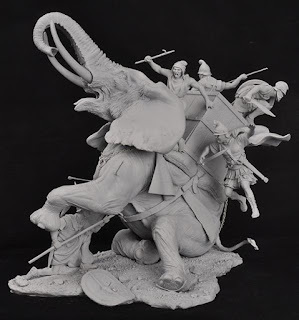 It turned out that the sculptor, Jody Siegel, had his own company offering a small but very interesting range of minis. Just last month he launched a kickstarter project to expand the range and introduce a gaming system. 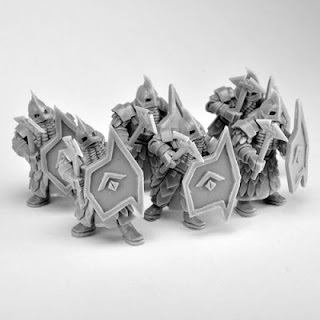 While some of the models are from staple fantasy fare such as goblins and undead, I think you will agree that these are totally unique and jaw-droppingly nice! There's a few days still to go on the project, so go take a look. The Massive Voodoo blog is a collection of painters from Europe (mostly Germany I think) that has grown significantly over the past year. The rate at which the guys pump out prize-winning painting is phenomenal, but it's a very down to earth site with plenty of tips, videos and just pure entertainment. When an art book was announced a couple of months ago, I jumped in happily to lend my support and am eagerly looking forward to the new year when I expect the books to ship. For me, this is the number one hobby painting site on the web. 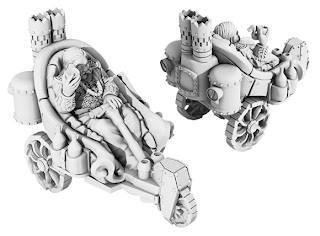 Copplestone Castings is a well-established company that has recently caught my eye, as I look around at the growing range of alternative games and minis. The range of 15mm fantasy figures is intriguing, I was particularly blown away by the dwarfs. There are hints that a game is in development, but there is scant information on this that I can find. Still, there are plenty of other games out there that the figures could be used in, though that deserves a whole topic in itself. That's it for the first part of my rundown of the stars of 2012. In the next post I will be looking at some of the bigger kickstarter projects. As I mentioned in my last post, I am painting the goblins from The Hobbit box set to use as ghouls in my Vampire Counts army. Here's a work in progress shot of some of them. This is the figures at the clean stage, they are still to be rusted, grimed and bloodied. I have been taking pictures at each stage, so I will put up a tutorial when they are finished. I have also started work on another character for the Vampire Counts army, based on the Malifaux Zoraida the Hag figure. I have swapped out the hands for a staff and summoning pose, as I intend to use it as a necromancer, even though I already have two of those. Still, a coven of three witches has a nice classic feel to it, so why not? In any case, this model could, at a push, be used as a vampire character. Progress has been hampered by a nasty cold, but I am over the worst of it now so will hopefully have them both finished within the next week or so. 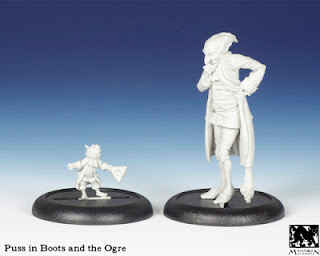 As soon as I saw the goblins from the boxed Hobbit game, I thought "mmm, ghouls, or maybe plaguebearers". Now that my boxed set has arrived I can put my idea to the test. Here's a line-up, showing from left to right - plaguebearer 5th edition, plaguebearer 7th edition, goblin, mantic ghoul, goblin, GW ghoul, goblin. The last one is not really relevant to the comparison as he's a one-off tiny addition to the game, he's included in the photo because he is cute! The Vampire Counts comparison works best, as this second photo shows. Body sizes, heads, weapons are all pretty well matched. 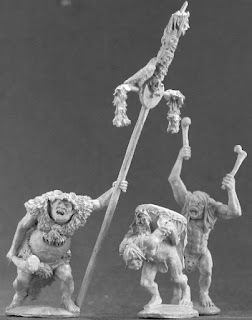 I would happily include the goblins as ghouls in my army, it could even be possible to mix them in with the GW hunched over ghoul, though that might be pushing it a little far. The mantic ghoul in this picture I actually use as a zombie, just to complicate matters a little. The comparison with the plaguebearers is less successful. My idea was to buy a box of the new plastic plaguebearers and mix in the goblins to double the unit size. The difference in height I don't mind too much, it's the scale difference in heads and weapons that are more jarring. 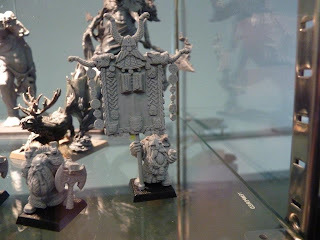 Of course, these are old metal daemons, but I suspect the new plastic daemons are very similar in size. I won't discount the idea completely just yet, but it's a little disappointing. Speaking of disappointment, I found out recently that The Hobbit film is to be split into three episodes. When it was first announced a couple of years ago there was talk of making two films, one to cover the contents of the Hobbit novel, and another to cover what happens between the end of that book and the start of the Lord of the Rings trilogy. Very exciting stuff, I have been looking forward to the release all year. But now I find out that the first film covers the first few chapters of the Hobbit book, and the rest will be covered in two more films. What? The Hobbit with no Smaug? I was a little dubious when I saw the designs for the dwarfs, but this has convinced me that I will not enjoy the film, so I will be giving it a miss at the cinema. Shame. Shame on those involved for milking the franchise to the nth degree. Chopping a 200 page children's story into three films is too much. Rant over. 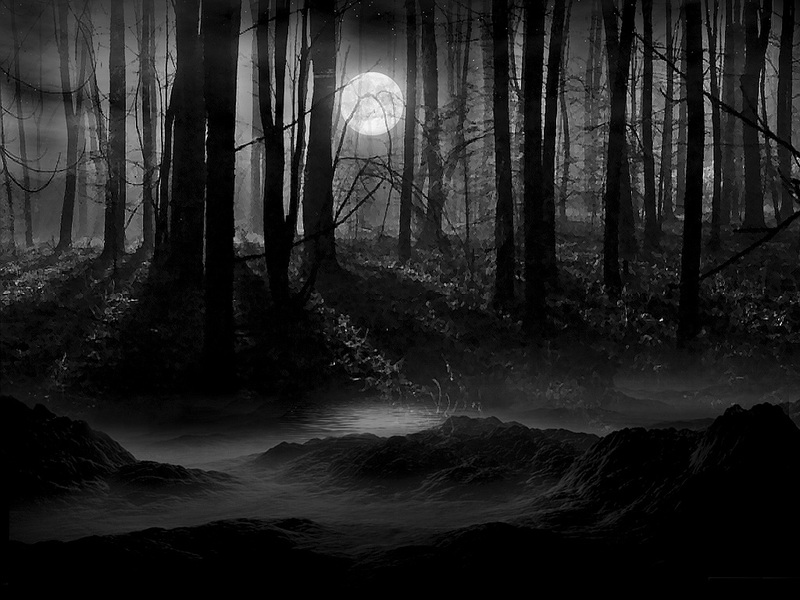 Darkness has come. For a few hours each day, the feeble sun clings desperately to the dim horizon, her weak rays of light and warmth powerless against the dank mists and damp clouds that now engulf the landscape. A great, grey slab of sarcophagus sky crushes all beneath. Rain has deluged the land for months, the roads are quagmires of mud and rotted vegetation. 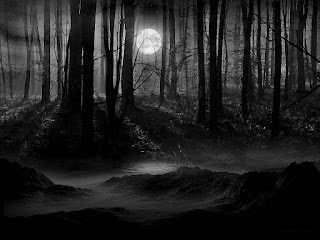 No birdsong in the bare branches, only the mournful cawing of murderous crows and rooks as they gather in the gloom, like undertakers around a coffin. The locals struggle through each day as best they can. 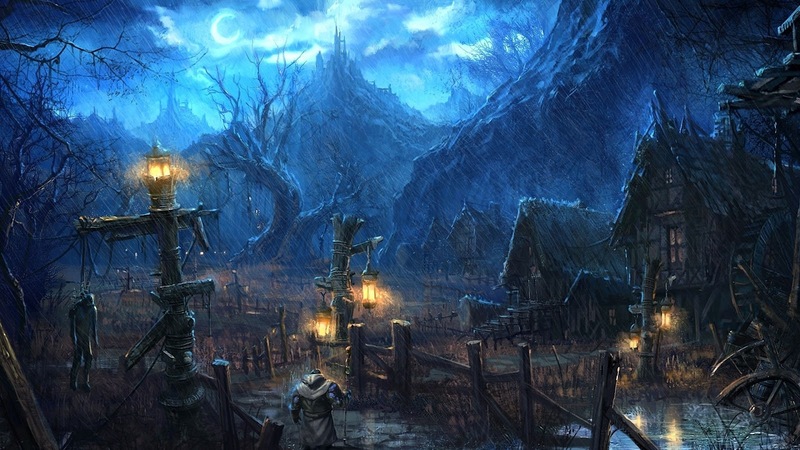 Crops have rotted in the fields, storehouses are empty, but for a few scabrous rats. Hunger is a constant companion. The roads and byways are virtually impassable, villages and hamlets marooned in a sea of mud and despair. 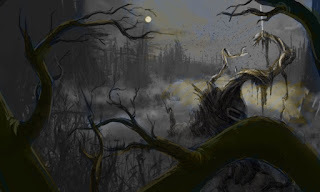 The inhabitants shuffle around like zombies, searching for scraps of food, scavenging fungus from damp, dark corners, tearing bark from rotten branches, anything that might offer relief from the gnawing pangs of their shrivelled bellies. 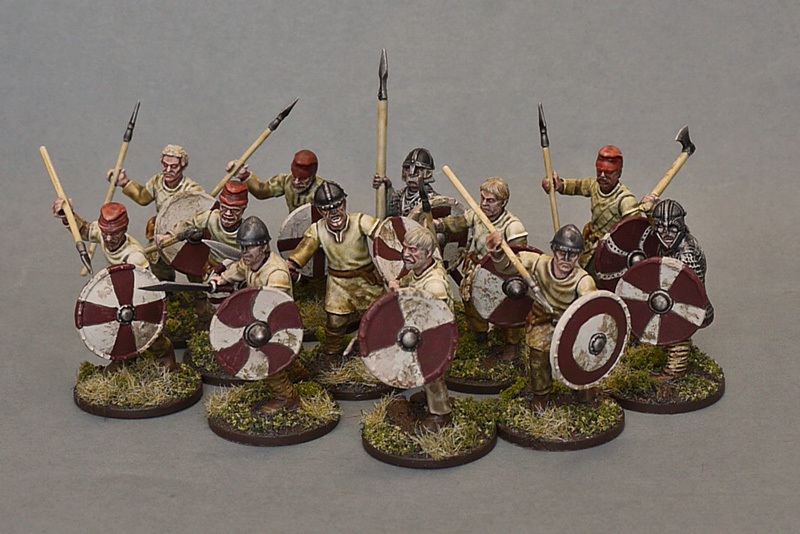 It became a chore towards to the end, but the Saxon warband is finally painted and ready for gaming action. In fact, they were in action last night against Viking invaders in the first game of a mini campaign. Needless to say, the freshly painted boys lost their first game, partly due to an incredibly lucky dice roll by the Viking warlord, who saved 4 hits (rolling 5's and 6's) at a crucial stage of the game. In that moment, victory was cruelly denied the noble Saxons and they were pushed back, defeat just a few turns away. The warlord and his retainer are made from Gripping Beast plastics, as are the armoured warriors in the main picture. 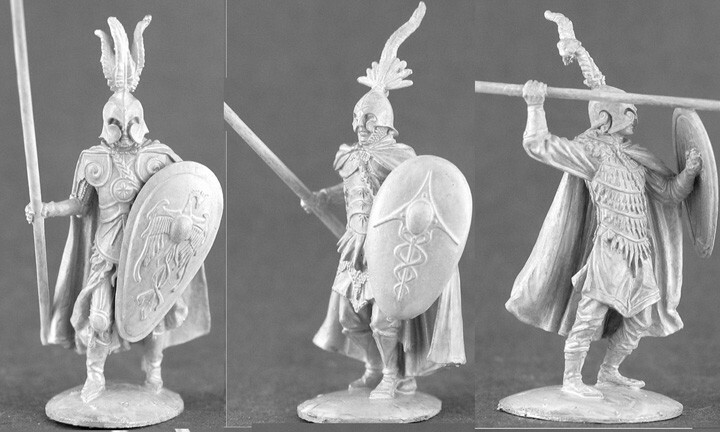 These are fine plastics, with a reasonable amount of detail, and very easy to assemble and paint. When ranked up, sheilds held high, they make a very imposing sheildwall unit. I will happily make and paint more of these when the army is expanded. The unarmoured warriors I am less happy with. These are Wargames Factory figures. The plastic is fine and no different to any of the bigger companies, it's the quality of the sculpting and odd poses that make them poorer quality. As wargames figures they are reasonable, but as painting/modelling projects they are less than inspiring. I have quite a few left, a dozen of which will be drafted in as missile troops. I have heard rumours that Gripping Beast will, at some stage, release unarmoured troops. Given the success of Saga and the lack of decent alternatives, I wonder why they are taking so long. While we wait for better things to come, the (slightly wooden) Wargames Factory figures will continue to sell by the boat load. A very brief selection this month, as I have spent less time than usual browsing the web. These are a few miniatures currently not available through Kickstarter, just the usual channels! Crooked Claw miniatures are building up a collection of classic goblin sculpts, very nice for skirmish games or to add variety to your armies. Possible foes for the goblins, or maybe reinforcements for chaos dwarf generals, are these Fallen Dwarves by Miniatures of the North, available on the Anvil Industries site. If dwarfs and goblins are too small for your tastes, try this for size! Andreas Miniatures are selling a 54 mm scale Carthaginian Elephant and crew. Last but definitely not least, Spartan Games continue to release more models for their Dystopian Legions range. If I could find an opponent, I would buy these minis in an instant, they really are blowing my mind. These are from the Britannia range, Knights Templar and a crusty old colonel in his steam-powered bath chair! That's Battle of Five Armies if you are confused. The titular battle was the climax in the Hobbit book (and no doubt the upcoming film), pitching an alliance of elves, dwarfs and men against goblins and wolves. In my case, it was more an Encounter Between Three and a Half Armies, since the goblins or elves are not yet painted. We set up a village to be defended by men, with dwarfs coming to their rescue from the nearby hills. 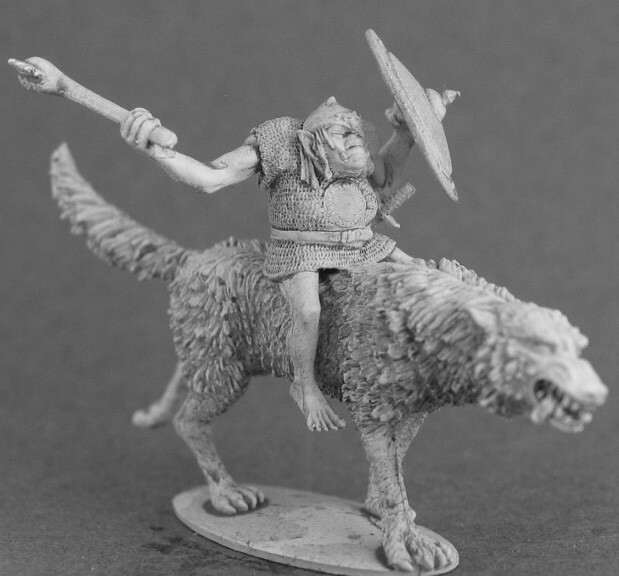 Rushing in to pillage were the wolves and wolf riders. The game plays very much like Blitzkrieg Commander, hardly surprising as both games are based on Warmaster. BOFA seemed very fast moving, there are few stats to get bogged down with, and I'm sure the rules will come fairly quickly after a couple of sessions. I could remember most of Command, Shooting and even Combat, it was just the rules on Confusion that (wait for it) caused some confusion. Pitching an all cavalry force against a pure infantry force was probably unwise, the goblins rampaged through the enemy in no time at all, but it gave us a reasonable idea of how the game plays and it seems promising. I am keen to get some more tiny figures painted, perhaps some goblin infantry to make the opposing forces a little more balanced. Time to break out the tiny brushes and giant magnifier! Coincidentally, there's a teaser trailer up on the GW website today, the totally expected release of The Hobbit: An Unexpected Journey Strategy Battle Game. 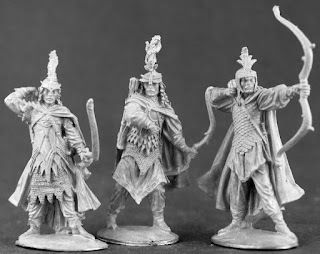 I am guessing it will be similar to the previous 25mm incarnations of Lord of the Rings, skirmish level gaming recreating scenes from the book/film. We will find out later in the week. 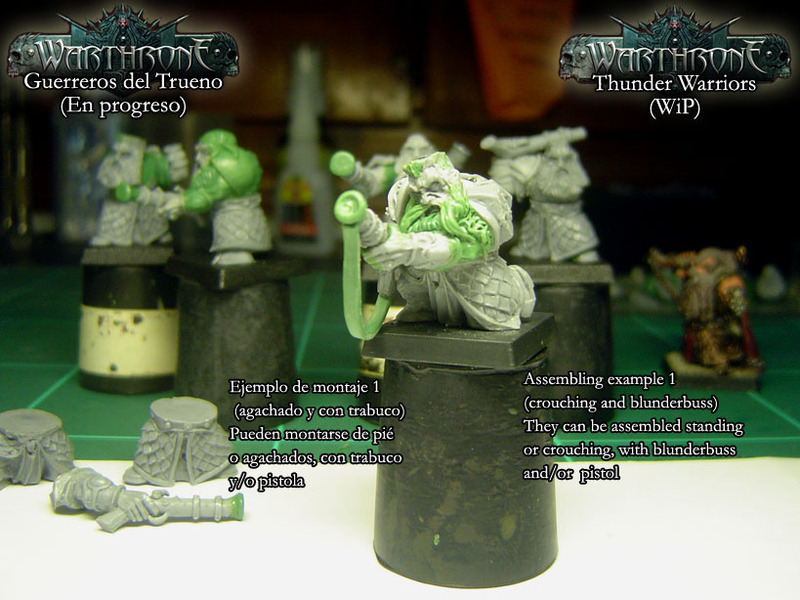 The first set of Warcast dwarfs from the Avatars of War Indiegogo project have been released to supporters of the project. It's been a frustrating wait for some, communication from the company can best be described as sporadic, but I think most will forgive and forget when they get their hands on these magnificent bearded fellows. There's also a video of the regiment on their website. As far as I am aware, these are not yet released to the general public, they are available only to supporters of the project. And yet they are on the website shop, but marked as out of stock. As usual, your guess is as good as mine. I reckon they will become available from independent stockists eventually. The price is 35 euros, which will equate to about £25 in the UK webstores. A couple of years ago my eyes would have watered a little at that, but these days that puts them at about mid market rate. For that price, I reckon they are good value, from what can be seen in this picture at least. 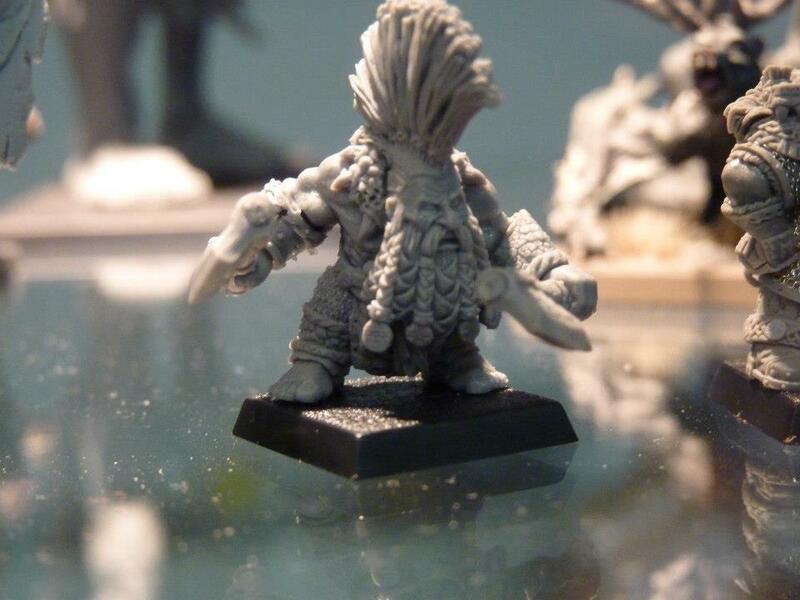 Also released in the more traditional metal is a dwarf champion. As with the regiment, it's in the webstore but marked as unavailable, so I guess that means it's either just for pledgers, or the webstore is to be updated, or something. It's an interesting time to be a Dwarf collector. There are rumours on Warseer (and I stress the word rumours) that the GW dwarf range is to be radically overhauled, in the same way that the Dark Eldar range was completely redesigned. I find this really hard to believe, the existing dwarf range is far more developed than the Dark Eldar ever were. Whatever the truth of this, it does seem (according to rumour) that dwarfs are nearer the front than the back of the army book queue, though this means little more than they might be released in 2013, more likely 2014. There's also dwarfs to be released by ForgeWorld in the near future. Dwarf players around the world, let the grumbling begin, as you dip into your seldom-opened chest of coins to get your hands on these new-fangled models! I am guessing that most of you will need no introduction to the guys at Massive Voodoo. You have probably also seen that they are producing an artbook of their work. Most painters, I would guess, are familiar with their awesome website. If you have no idea what I am talking about, then visit the Massive Voodoo website, see what they contribute to the hobby, then have a look at their Indiegogo project. A fine present for any of your painterly friends and a lovely way to say thanks to the MV duo for all the joy they have brought us down the years. This is going on the top of my list to Santa. More samples of what you can expect below. After several fantasy-gaming-free months, I decided to give Warhammer another go. I love playing Saga and have enjoyed several games of Blitzkrieg Commander, but recently I have been looking at my Warhammer collection, wondering if I should keep some or sell them, to make way for newer toys. 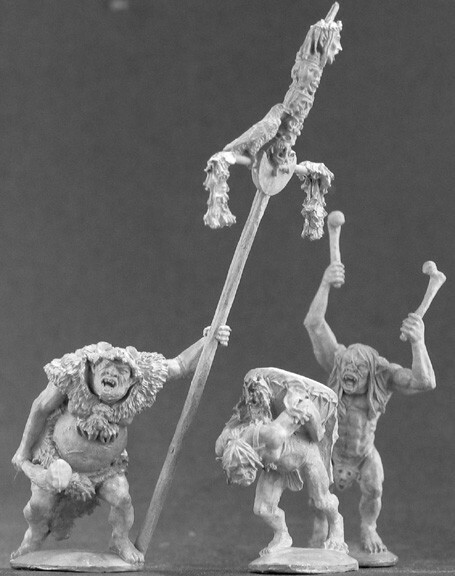 If I was to sell, it would almost certainly be elves or greenskins under the auction hammer, so I decided to give them a last chance. Looking through the orcs and goblins army book, I remembered that I had wanted to try an all-goblin force at one point in the past, so I scoured my "little black book" for clues. This is a little notebook I keep with all my army lists, the occasional battle report, ideas, sketches, etc. Sure enough, written earlier in the year, a 2000 point all goblin list. As I don't own that many goblins, it was not a balanced army. I had to boost the character allocation considerably in order to make up the points, and there is far more rare choices than I would normally use, but it would give me a chance to try something a bit different. A goblin warboss, a night goblin army standard and two night goblin shamen prodded forward night goblins with netters, night goblin archers, fanatics, wolf riders, spider riders, a squig herd, and a 40 strong mob of gobboes. A couple of spear chukkas, a doom diver and a stone thrower made up the artillery. 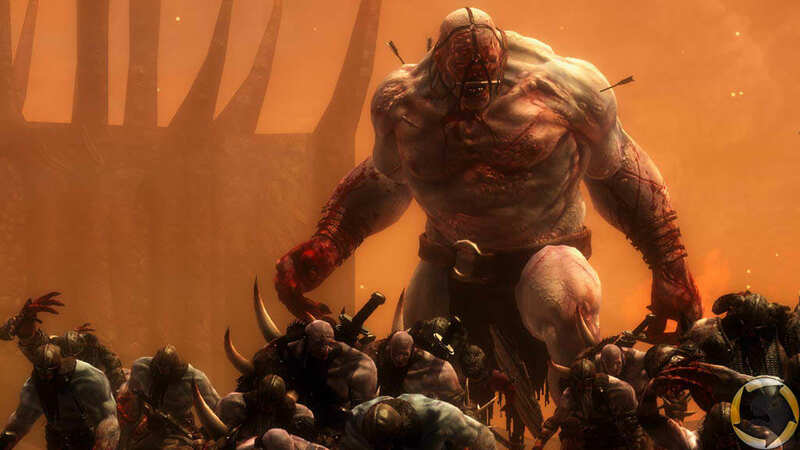 A handful of trolls added some dubious hitting power, while a pair a pump wagons added a random chance for some carnage. The basic plan was to use the night goblin netters and goblins as anvils, hoping that the trolls or squig herd could function as hammers. Across the table was a pretty scary-looking chaos army, warriors, knights, a giant, ogres, dragon ogres, all powerful and hard hitting units, led by a Sorceror Lord safely ensconsed in a unit of maruaders. Things started badly when the night goblin shamen lord's very first spell cast with irresistible force, causing him to forget three of his four spells. A very lucky bolt killed two chaos ogres, but that was the highlight of the game and it quickly went downhill thereafter. The squig herd was extremely unlucky in combat with dragon ogres, as the mighty beasts made 5 armour saves (6's) from 7 dice! I guessed at this point that Gork (or Mork) were seriously annoyed at me for neglecting them for so long. Needless to say, the squigs broke and went wild. A trio of fanatics held up the forces of chaos for a little while, but they quickly throttled themselves or span wildly into a forest, making little impact on the enemy advance. Such are the whims of dice rolls. From a tactical point of view I messed up in a few areas. For some reason I moved my pump wagons forward, they were charged and obliterated by the remaining chaos ogres. 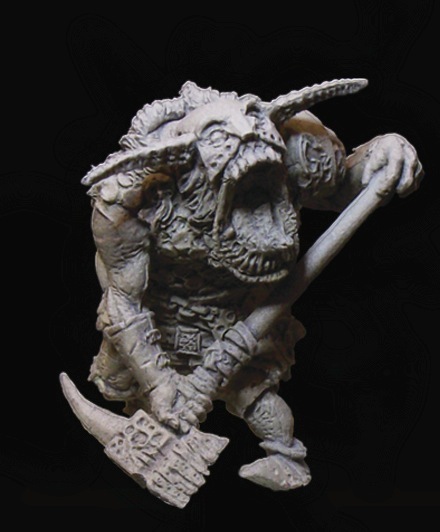 Night goblin netters were next on the ogre revenge list (still smarting from that early bolt no doubt), and while the little gits held them up for a couple of turns in classic anvil style, nothing was available to act as a hammer. This was mostly due to me badly positioning the hammer units, the trolls, which were sensibly sticking near to the goblin boss for his inspired command yelps, but were totally out of position on the wrong side of the board! Ah well, it has been six months since my last game. Most amusing moment of the game? Possibly the giant and stone trolls in combat, the giant yelled and bawled, the trolls were unable to fight back, but held. 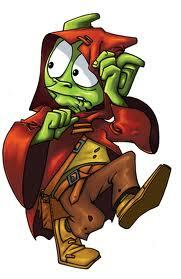 Then he took a chomp out of one, restoring his wounds, the trolls swung ineffectively, so then resorted to vomit. They spent the whole game (of four turns) in this fashion, rooted to the spot taking chunks out of each other, regenerating them, in a comical never-ending combat. My only real "chance" came from a surprise charge from 5 wolf riders, who failed their animosity roll and then rolled double 6 to just scrape a successful charge of 21 inches onto the rear of the marauders and Sorceror Lord. After some bizarre dice rolling the marauders ended up taking a break test! Which they passed, then turned around, pummelled the upstart goblins into the ground and normal service was resumed. By the end of turn 4 most of my units were dead or dejected and we called it a night. I knew that using an all-goblin force would be an uphill struggle, but combined with my rustiness, a powerful enemy and some awful dice, it was more of a massacre than I expected. I can't remember the last time I conceded in turn four. Having said that, it was great fun! I want to give the little green gits another go, partly to see if I can improve (I can't really get much worse) and partly to give my opponent more of a challenge. A few tweaks and some more practise is needed. Although I have not played a game of Warhammer for at least six months, I still enjoy the collecting side of the hobby. And as most wargamers know, collecting in this context means wondering if I will ever get round to painting the piles I already have. Many an hour has been spent over the summer months, sorting through my two boxes full of chaos bits. Most of this sorting comprises me staring at the figures and willing them to do something, with an occasional half-hearted attempt at cleaning and assembling. The biggest impediment to progress is my fear that I will never actually game with them! It seems to make more sense to concentrate on my Saga forces, as that's the game I play on a regular basis. However, if pressed, I would probably concede that Chaos is the favourite of all my Warhammer collection. For me, they offer the most variety, the most scope for modelling, painting and thematic experiments. I still have a soft spot for my elves, and could never be rid of my dwarfs, and I keep promising myself that one day I will tackle the hordes of undead. But the one army I have consistently worked on over the past few years has been my Chaos Warriors. 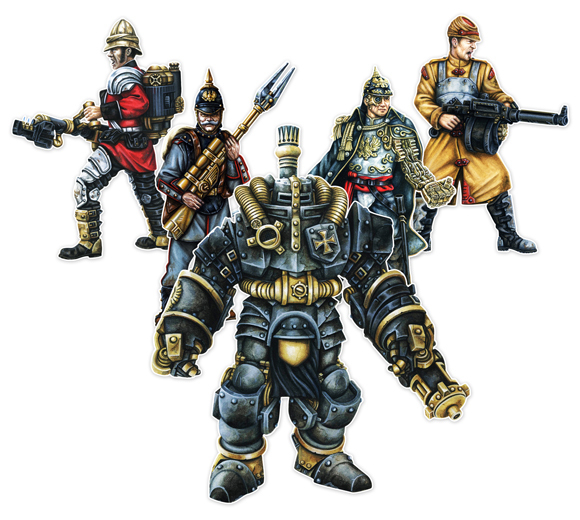 When the previous book was launched, I bought into the new range on a reasonable scale - a battalion, a metal Lord on Jugger, knights and marauder horsemen. Not a huge splurge by most standards I guess, but with the book it came to around £100. That was 4 or 5 years ago. In today's prices, £100 would buy just the book and a battalion, if that. I have also picked up various other bits from ebay, forum markets and other bloggers. I have about 2000 points painted with a similar amount unpainted. So I don't need any new toys, but as we all know, that never usually stops us from buying the latest releases for our favourite army. The biggest impediment to me buying the new range is the plain and simple fact that I don't really like them. The characters are poorly executed, and finecast is still far more effort than it should be. The plastics are either dull and uninspring (the Khorne and Slaanesh riders on daemon mounts), or just completely over the top and messy (the warshrine). 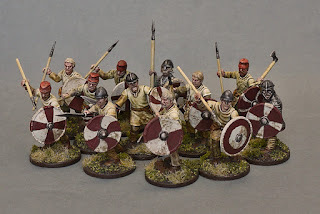 I did ponder over the use of the shrine boxset as bits, but decided against it in the end - that £35 would buy me a complete Viking warband for Saga. The biggest shock among my rambling thoughts is that, for the first time, I will not be buying an army book for one of the armies I collect. The cost is an issue, but it's more than that. The last couple of books I bought have given me less pleasure than any of the previous versions. To be fair to GW, this is to be expected in older gamers, as they cannot re-invent the wheel each time and there is bound to be some duplication in updates. It was the Vampire Counts book that proved to be the (ahem) final nail in the coffin. So much of the fluff was simply copied from the previous book, while the couple of pages of new material was tame and un-convincing. The direction of the game and the newer design concepts have left me colder than a wraith in a crypt. So, unless the next wave of models offers some mind-blowing must-have model, I will be abstaining from this latest version of my favourite army. That's not to say I am abandoning Chaos, far from it. The book update I will borrow from a friend, while reinforcements will be acquired from other sources (the Avatars of War range is highly tempting). And there are other manufacturers that are slowly seeping into my collection, more on this in future updates. GW no longer offers what I am looking for, but plenty of other companies do. There are new forces at work in my Chaos army, which when you think about it, is rather fitting. Pictures have emerged from the recent French Golden Daemon, showing some Forgeworld dwarf sculpts. Presumably these will be launched along with the upcoming book featuring the bearded ones, greenskins and the Empire (see this post for sketchy details of said book). 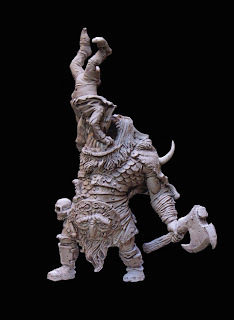 The trollslayer looks nice and solid, not scrawny like the metal figures, but what the heck is going on with the neck? The head looks like it is erupting from the chest, chaos dwarf style. The armoured dwarf is better, though I still think the head could be a little higher on those shoulders. The boar trim on the backpack is intriguing. The armour is superb, highly detailed and streets ahead of the plastic armour quality. Strangely, the beard seems a little flat and dull. The pose too seems a little static. It's better than the trollslayer, but too relaxed for a wargame figure. Finally, as far as dwarfs are concerned, there's a standard bearer, with the now obligatory pipe and comically oversized banner. Nicely detailed and sculpted it has to be said, but not my cup of tea (or should that be pint of ale). 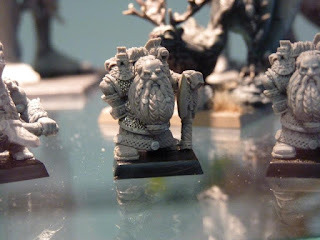 These are better detailed than the plastics, as you would expect, but I think from the images I have seen to date, I will be buying the Avatars of War dwarfs. Incidentally, the pictures came from this facebook album, it's well worth flicking through, there are also some night goblins and more monsters in there, including a rather strange monster offering. I don't own monstrous arcanum so have no idea what it is. When I started this little series, I had no idea it would last this long. Issue 10 here already, I feel like it should be a special event of some kind, but in the end I decided to avoid gimmicks and just show more of the minis I would love to own. These are all "boutique" minis in my eyes, superlative examples by just two sculptors. Thunderbolt Mountain minis is the home of the sculptor Tom Meier. These elves and goblins capture a beautiful aesthetic that is sadly missing from so many other ranges. As a fan of the art of Arthur Rackham, I have been watching the output of Mannikin Studios with great interest. These two sculpts are by Jody Siegel. 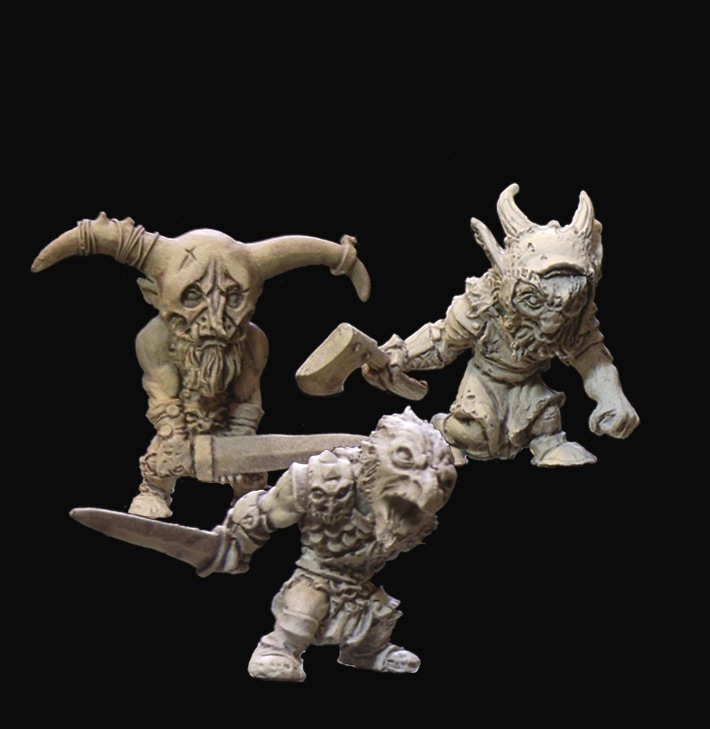 By the same sculptor are these rather fine goblins, available at Imbrian Arts.